Flipkart affiliate login problem - When ever trying to login to Flipkart affiliate, it says email or password do not match. Always needs to reset the password for login. 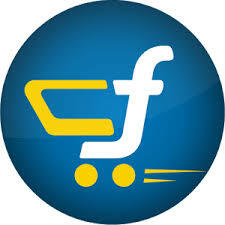 Recently Flipkart has redesigned their affiliate portal to a more professional looking one. This design upgrade was happened on September 2015. Most of the Flipkart affiliates might have gone through similar problem mentioned above. "Email address or password don't match". Then affiliate has to use "Forgot your password?" facility to reset their password, this will send and email with password reset link to your registered email address and after clicking on it , you will get the screen to update your password. Reason: The reason for the occurrence of this issue is: After a successful login , and after performing all activities in the affiliate portal, he leaves the site withg out properly closing his or her session. Now as per the new design, Flipkart checks the status of previous login, ie, whether the user has logged out properly after their previous session. Solution: Always close your session properly by clicking the "Logout" link which can be seen on clicking your Name shown in the top right position. of the screen. To join the Flipkart affiliate program Click here affiliate.flipkart.com. Address: Flipkart Internet Pvt. Ltd., Vaishnavi Summit, Ground Floor, 7th Main, 80 feet Road, 3rd Block, Koramangala, Bangalore, Karnataka 560 034. Flipkart's affiliate program is one among the most trusted affiliate campaigns in India. Any one who is 18 or above years old can join this programs.You have to join the program by visiting above link and visit the "REGISTER" ( https://affiliate.flipkart.com/registerme ) link on the menu. After subscribing to the program, you can advertise Flipkart items on your website or blog , When a user click on the link enabled with your affiliate Id and then he purchase products from Flipkart, you will earn commission ( affiliate fee ) fro that purchase that happened through your website.